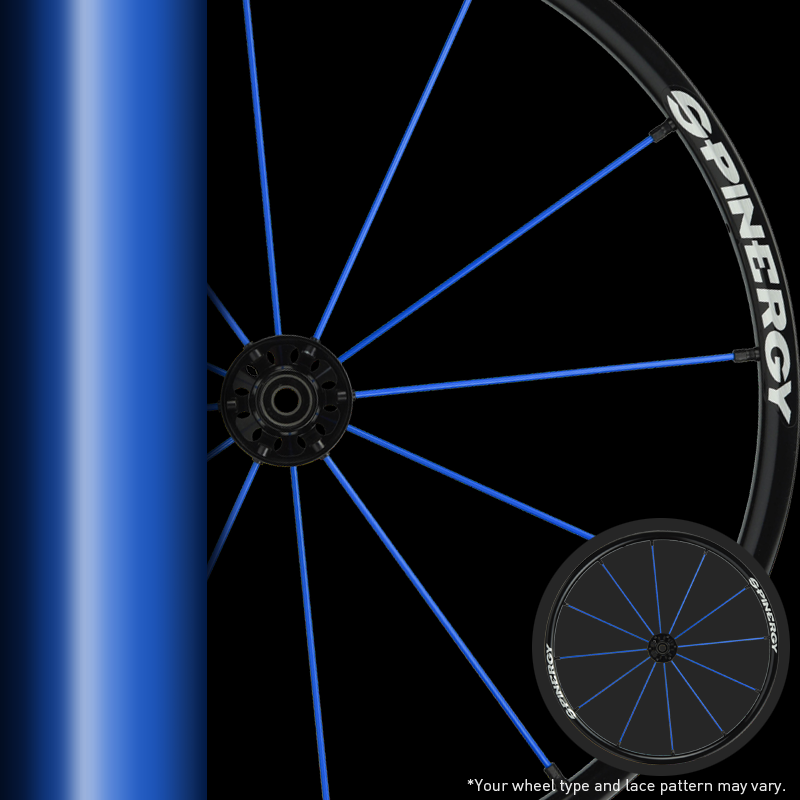 The most trusted wheel on the market. A great wheel for your everyday needs. It's quiet, attractive and extremely reliable. 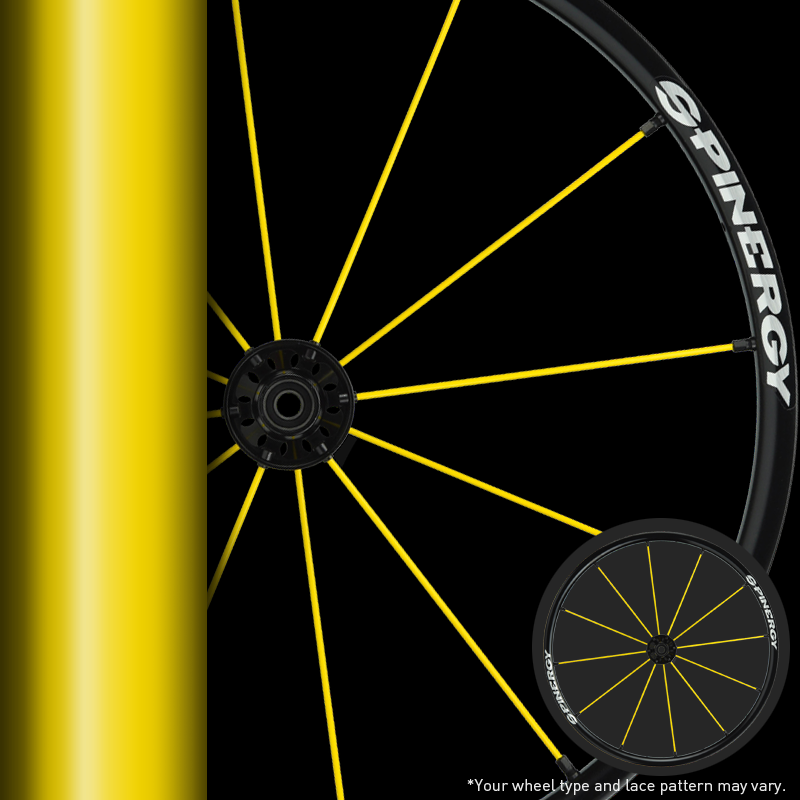 Spinergy built its reputation as a market leader with the SPOX Everyday wheelchair wheel. They have been our best seller for 15 years and are built to last. Wheels are the most rewarding upgrade you can make on a wheelchair and the SPOX Everyday wheels are our entry wheel with a budget in mind. 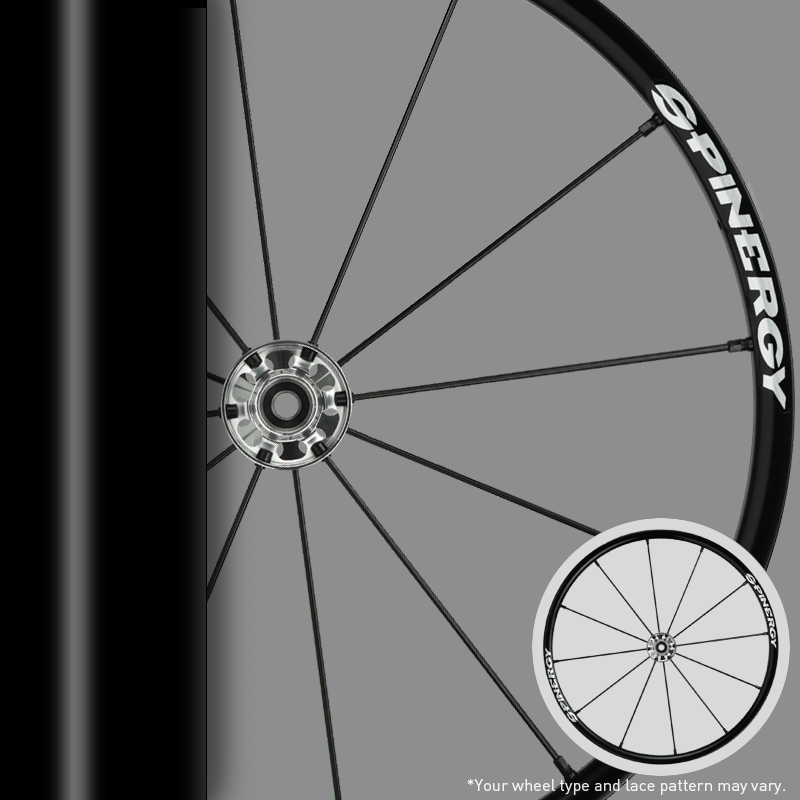 Includes exclusive Spinergy designed high performance lightweight CNC machined hub in black or optional polished finish. Spoke Colors Black, White, Red, Yellow, Blue. 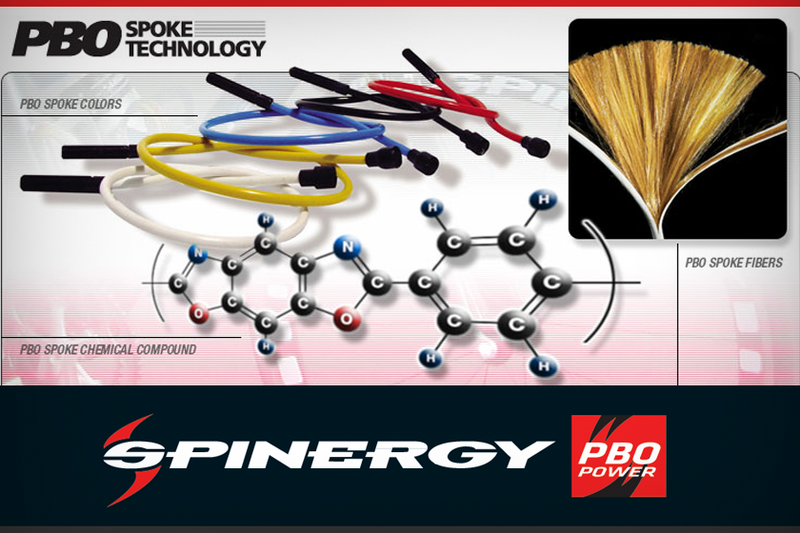 Spoke Specification Radial Laced with Spinergy patented PBO FIBER spokes. Lightweight aluminum, double-walled rim. Rivnut handrim mounting system compatible. Available sizes: 20", 22", 24", 25" and 26" sizes. 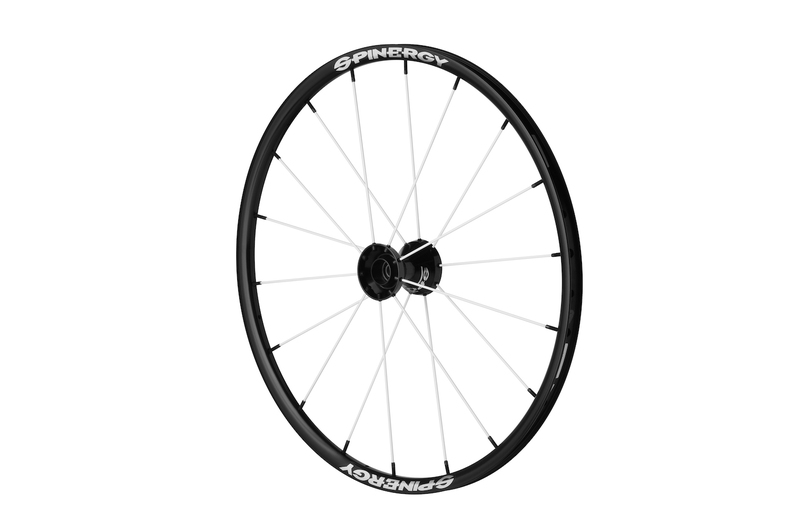 Weight 721g/wheel. 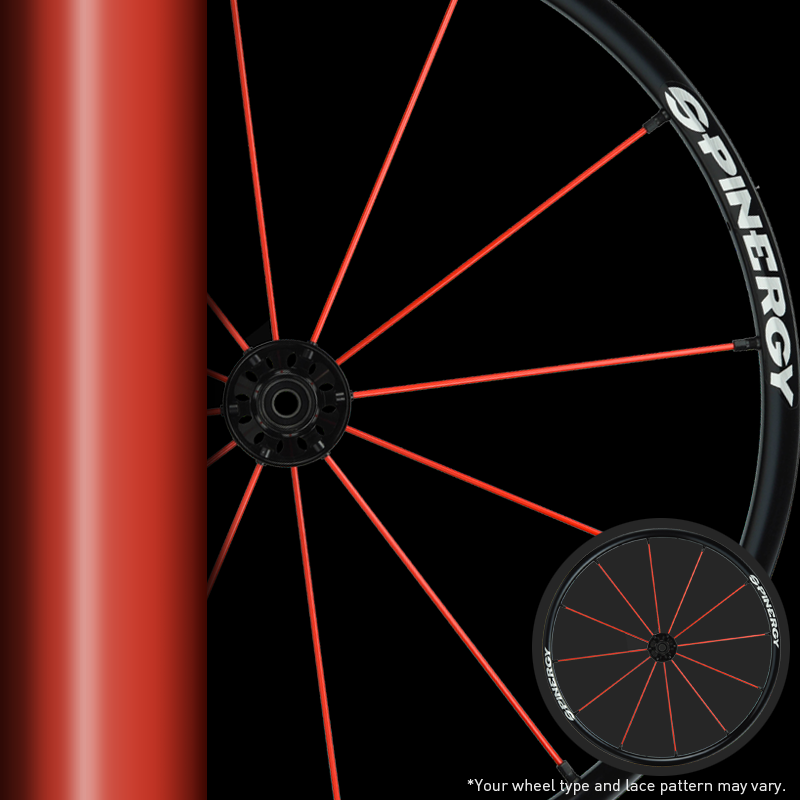 Spinergy CAD designed, CNC machined from lightweight aluminum, Traditional Spinergy styling. Colors: Black or silver. Bearings 1/2" or 12mm.